This gift idea list is for when you want to do something really special for your pastor. 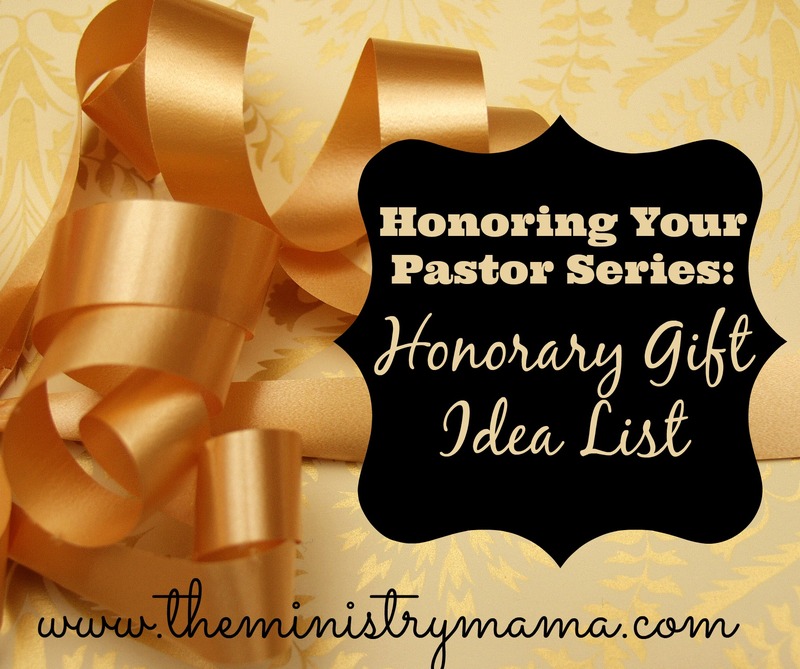 23 ideas are listed below to help make honoring your pastor a piece of cake! Some of these ideas will take some time and effort but I assure you that it will be well worth the effort you take, if you give generously. I encourage you to honor them yearly! Know the date in which they came to serve in your church for the first Sunday and even if you do not make a big deal about it every year, it should be recognized and they should be given a token of the church’s appreciation. Their service to you and your church is not only a benefit, it is their calling and it is their work in obedience to the Lord. There are extra special times to recognize your pastor and his service. It is not any different from a married couple, 5, 10, 15, 20, 25, 30+ years of serving either in ministry itself or in the ministry of your church in particular. Even when your pastor was a scrawny youth pastor in the dark ages of ministry, it was still service that adds up through the years. Our pastor has served in our church over 30 years now but his total number of ministry years has been over 40. I know when my great-grandfather had served over 50 years in ministry someone arranged for him to receive an honorary doctorate. There may also be other times when you recognize his leadership over completing something like a large building project or recognize his faithfulness through a particularly difficult time in his life or the church’s life. Plaque – don’t get a boring one, find a nice one! We bought an etched blue glass plaque for our pastor that stands on his shelf like the one seen here. Office renovation – does he still have dated wallpaper in his office? Update! It does not have to be a surprise, let him be involved in making changes he likes. A Banquet in honor of him and his wife – even if you can’t afford a nice venue, you can still do something great at your church facilities with a little creativity. A church-wide photo taken outside your church and framed – hire someone or use a nice camera propped on top of a church van like we did to get a nice group photo. An updated computer with Bible software – I have heard good things about Logos software if your pastor likes to use the computer for sermon preparation. Memory photo books of the church history and church events. Use someone in your church to scan and organize old church photos into folders on the church computer, then download them onto a website that makes photo books and it will be so much easier to look at them. If you make a copy for your church, get a copy for the pastor and his family too. I recommend Shutterfly because they have great customer service. Video testimonies shown in church services and saved on a DVD for them to watch at their leisure. Videos should be taken weeks in advance so that someone can compile your videos. A special preaching revival in their honor – it might be neat to use their favorite preacher or bring in someone who is significant to them and their ministry. Car upgrade – Is your pastor driving a heap of junk? If your church can afford it, it may be a benefit to give him an upgraded vehicle or some money toward a new one. Vacation time with accommodations and spending money provided – if you give them the trip, make sure they go and enjoy it! Engraved pieces from a company like Things Remembered. A new Bible with favorite verses highlighted by the members of the church. A memory or thanks jar filled with slips of paper with memories written on them from members of the church or little messages of thanks. A Staff Take-Over Night – A church in Arizona did this to their pastor, taking over the service, bringing out a recliner into the middle aisle, giving their pastor a “night off,” then their assistant pastor preached a message encouraging their pastor. Just make sure that this type of thing would be okay with your pastor, some personalities might not like it. Bring in a special music group for a Sunday – be sure that the group is someone your pastor likes and the music conforms to your church standards of music. You could also have your choir or a singing group in your song sing a song like, Stand By God’s Man, written by Julia Montoro. A gift card tree – these are always a blessing to help your pastor in a fun way. A love offering – this love offering should be a sincere expression of love, not a cheap token, but may quite be a sacrifice of love from the members. Remember, that your pastor and his family has sacrificed a lot of time and effort on the church’s behalf. New household appliances. Has it been years since he and his wife have been able to buy a new refrigerator, freezer, dishwasher, stove, or grill? It would be a pleasant surprise to them to get an upgrade. Contact your local newspaper. They may be interested in running an article on your pastor in the religious section if he has served in the community for a long time. This would be a special way of honoring his dedication and faithfulness. Finally, listen and learn to what his needs or desires are. If they’re in the budget, then give him the desires of his heart! 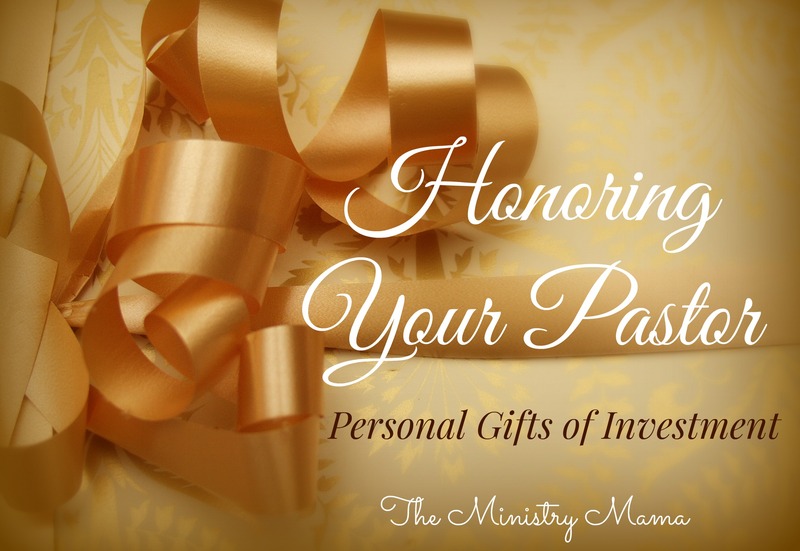 On the Ministry Mamas Pinterest Pastor Appreciation page there are over 70 pins of all types of ideas for gifts, cakes, and even gift basket to show appreciation toward your pastor. *Please note that this article does not contain affiliate links. I love to help you find great things easily, that’s all!